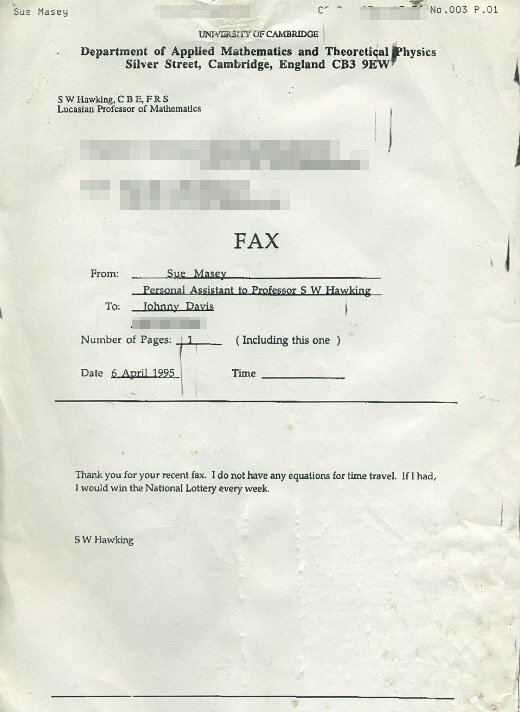 In 1995, with their forthcoming 15th anniversary issue in mind, The Face magazine approached Stephen Hawking and asked him for a time travel formula. They soon received the following response by fax. Transcript follows. Image very kindly supplied by The Face’s former editors, Richard Benson and Johnny Davis. Huge thanks! Shift this bike’s gears with your thoughts .. no really!